Based on my Online Course One-Minute Matters! Take this FREE 3-part mini video course to learn easy tools. Experience transformation in your daily life. Re-create harmony & balance in just minutes! Enter your name & email to begin now! When you submit your name and email you are opting-in for our free monthly email newsletter and relevant updates from BringYourSoul. You can unsubscribe at any time. The mini course includes 3 parts, for you to receive great value and experience transformation. Inspiring parts of what my full online course has to offer! This constant inner dialogue most of us have keeps us from fully experience the present moment. We miss big parts of our day being lost in a stream of more or less mindless thoughts. This lesson includes one of my most useful meditation methods "Taking a Minute", a so called "micro break", is an excellent way to pause, get centered and collect yourself. I’ve witnessed it help people to release stress, create more peace of mind, in only minutes a day. In this part we go right to the core. If we habitually think of what we don't want and what we don't have we create many fears, expectations and uncomfortable feelings inside. How would your life be right now if all your fears and expectations were lifted? I believe that we all are the creators of our lives and that our decisions and choices directly or indirectly effects everything in our lives. This is why ”One Minute Matters!” If we calm down, get clear and mindful our choices will be generated with more insight and not driven by impulse and reaction. When we wake up and realize that ”I am”, ”I exist” in this moment and what I focus my attention on and the state I am in effects everything. Then we see clearly how important our awareness and attention really is and the whole world opens up. 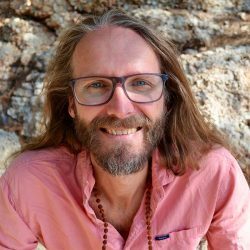 - My name is Richard, I am a certified coach, meditation teacher and the creator of "The One-Minute Meditation Project". Together, with my wife Kristina, I co-create for spiritual and personal development via BringYourSoul. I believe our biggest problems lie in the way we engage with our thinking mind and that we don´t know how to stay in the present moment. How can we be happy if there is always something wrong? How can we be great if we constantly think we are not?